"The best of Cotter's writing is solid poetry, intensely imagist, and speaks deeply and sincerely to real and universal human concerns." "All the more refreshing, then, to find a poet working within the "village" of contemporary poets but in a voice all his own; one which is unfashionable in the best sense." "Cotter is an adroit and knowing artist"
"Sly and wry and sometimes shiningly transcendent "
Cotter's published work includes several chapbooks, the verse novella The Misogynist’s Blue Nightmare (Raven Arts Press, 1990) and the full collections, Perplexed Skin (Arlen House 2008) and Making Music (Three Spires Press 2009). No One Knows - a bilingual selection was published in Macedonia in 2014. His work has appeared in many anthologies including Separate Islands: Contemporary British and Irish poetry (Quarry, Ontario) Irish Poetry Now (Wolfhound) Jumping off Shadows - Some Contemporary Irish Poets (Cork University Press) The Irish Eros (Gill & Macmillan) The Backyards of Heaven (Newfoundland) Something Beginning with P (O'Brien Press) and in The Great Book of Ireland. 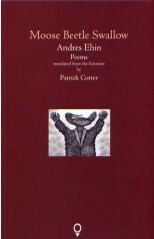 His translations of the Estonian poet Andres Ehin are collected in the book Moosebeetle Swallow (Southword Editions). He has published short fiction in journals and newspapers. 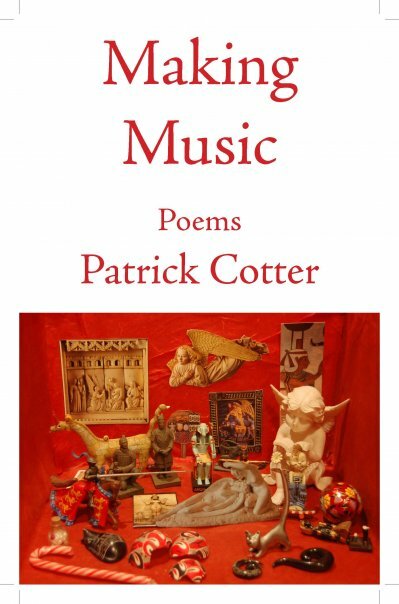 Cotter’s own poems have been translated into Chinese, Croatian, Estonian, French, Hindi, Hungarian, Italian, Macedonian, Norse, Norwegian, Russian, Serbian, Spanish, Swedish and Turkish. He has given readings of his work in Ireland, Canada, China, Croatia, Estonia, France, Germany, Macedonia, Norway, Italy, India, Turkey and the USA. In 2013 he received the Keats-Shelley Prize for Poetry. 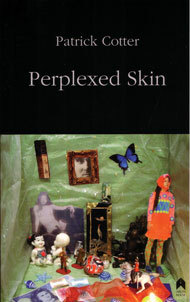 2008 Perplexed Skin. 96 pages.